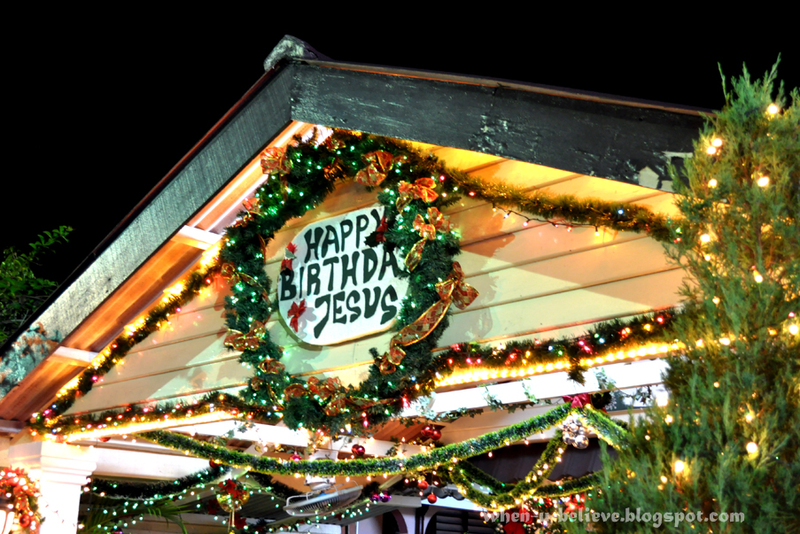 Christmas celebration was held every year at the settlement. Unfortunately, last year it was nationally announced that the celebration was cancelled. I was told that this year, the celebration would be on and had decided to make a trip there on Christmas eve. A local told me that there would be people dancing, partying and performances by the Portuguese people as well as a live countdown. Well...... no performances this year during eve. 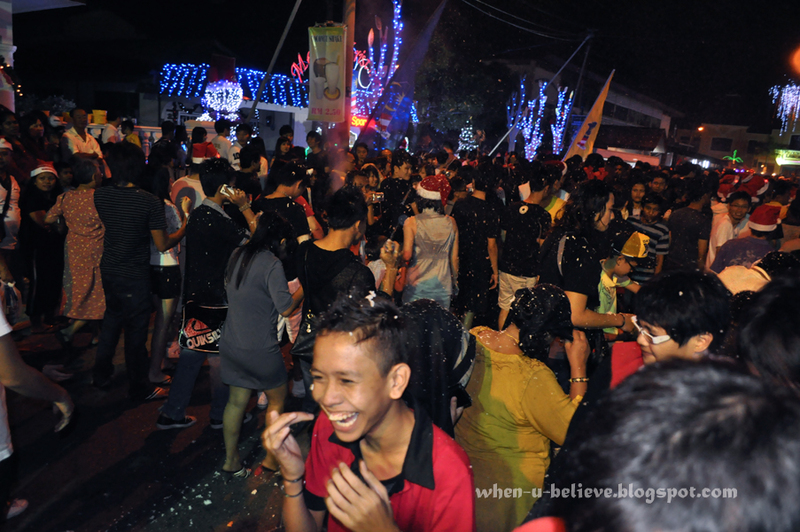 Only to discover that this year the celebration had been postponed to the 26th December 2010. 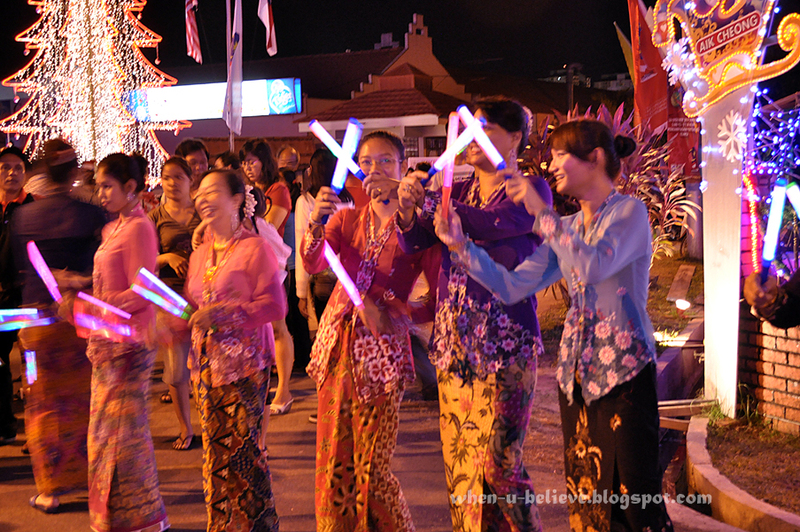 Malaysia's National Christmas Celebration was held at the Portuguese Settlement Malacca on 26th December 2010. However, this did not affect the festive spirit. It was all worth the trip at the end of the day. 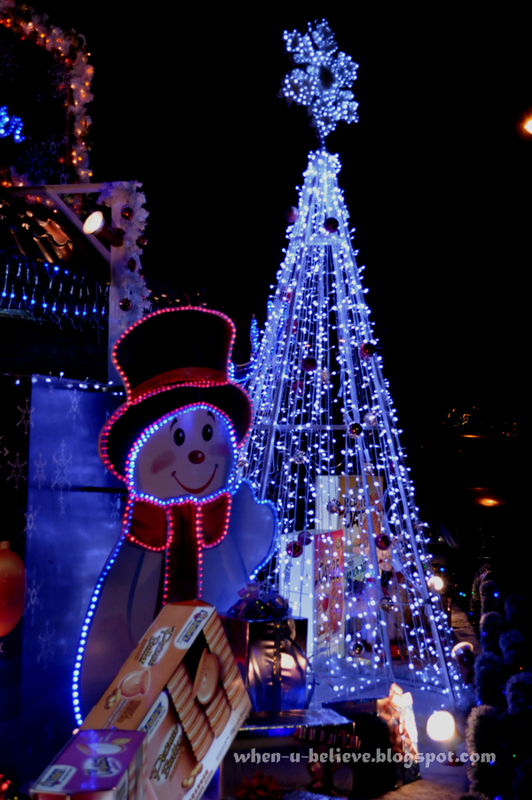 The sight of Christmas lights and decorations there was breathtaking. Houses were so beautifully decorated with Christmas lights. Aik Cheong, one of the sponsors. Another sponsor, Julie's Biscuits. You can see giant Julie biscuits in a huge tin and boxes there. 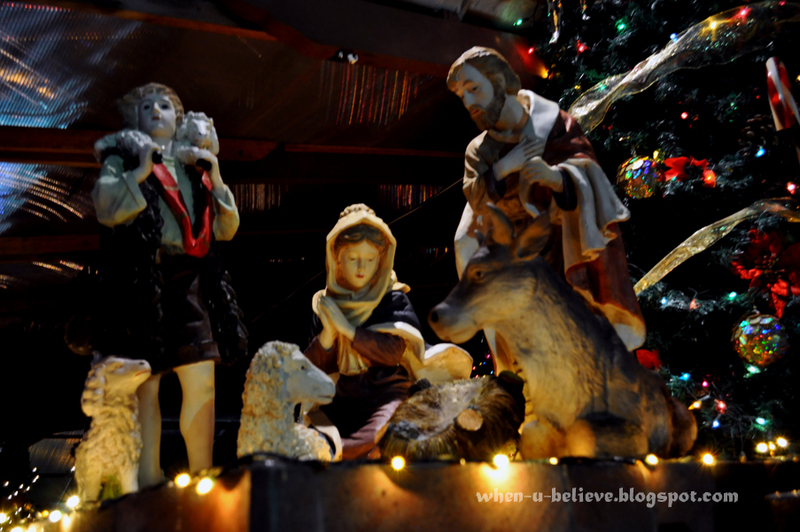 Most there on the Christmas eve were kids, teenagers and youngsters. 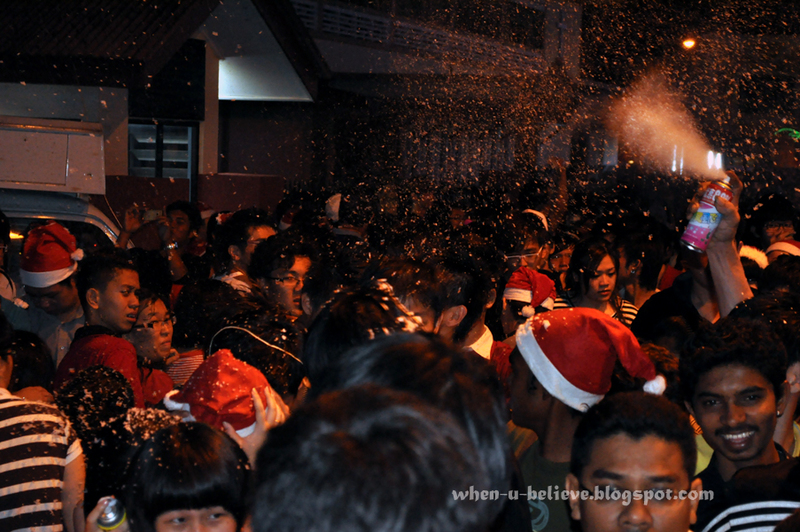 Many we equipped with a snow spray on hand, ready at any moment when the clock strikes 12 midnight. Party sprays was less popular as compared to the latter. 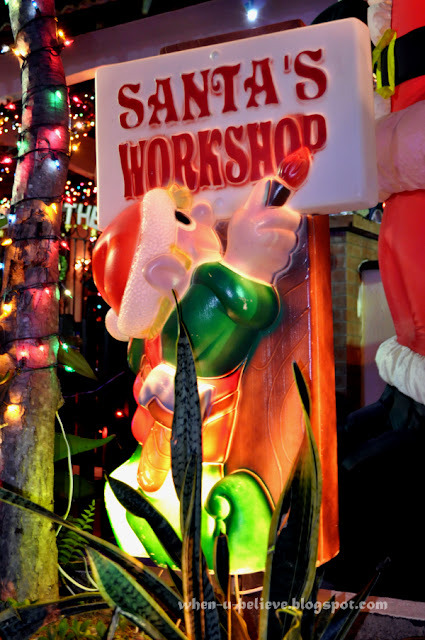 You can find stalls selling Christmas light up hats, reindeer hair bands, mickey shaped light up hair band, angel head band, Santa heads hair bands to Snow Sprays. At the count of 5, 4, 3, 2,1! Fire!!!! 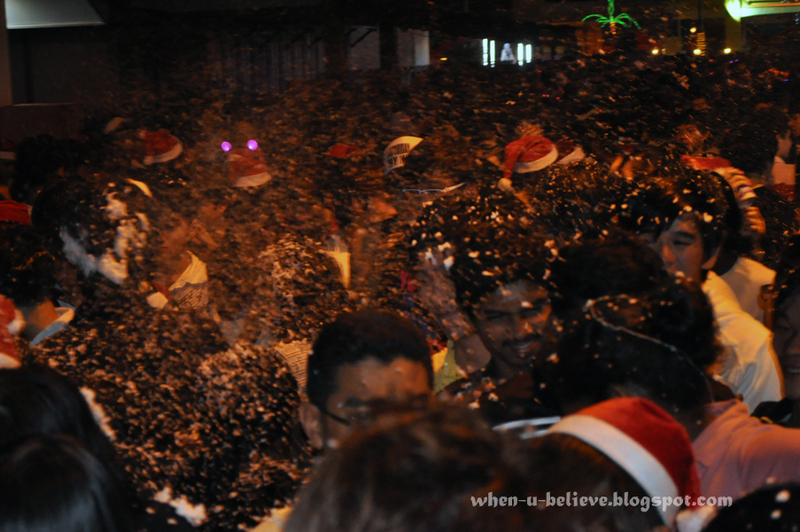 And the air was filled with party snow. Hardly had enough air to breath with all the snow sprays firing into the air. 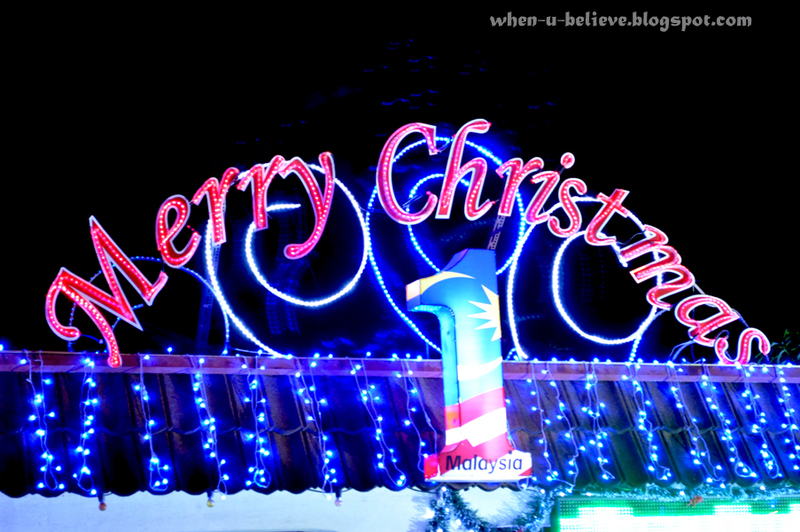 26th December marks the end of our vacation to Malacca in 2010. 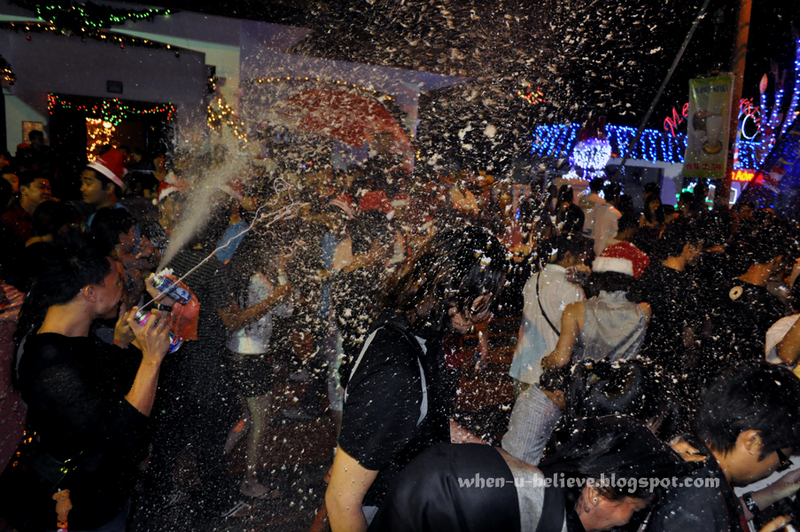 We got to drop by for a short for the 26th December, National Christmas Celebration before heading back home. More adults and family can be seen here. Ushers dressed in beautiful "Baju Kebaya" welcoming the VIPs and guests of honours. Nonetheless, we didn't get to watch any of the performances before heading back. 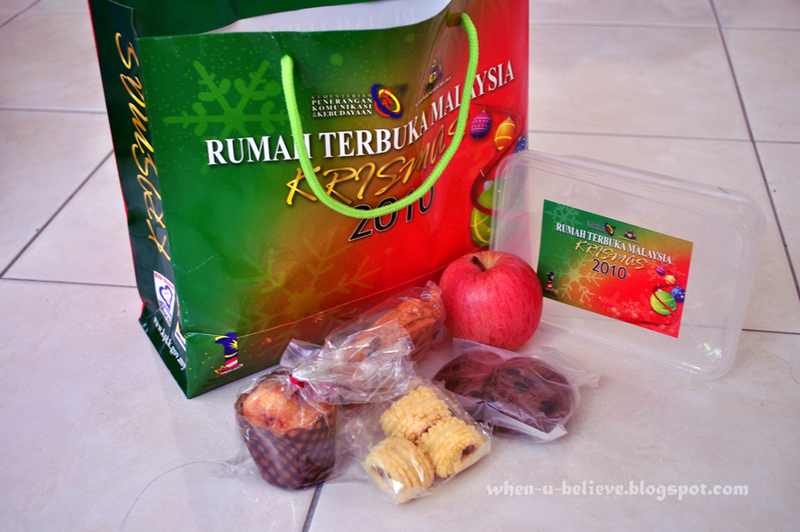 The goodies bag we got at the National Christmas Celebration. Have a can of Power Champ, isotonic drink and a bottle of mineral water too actually. Were so deprived of H20, finished it before we got home. 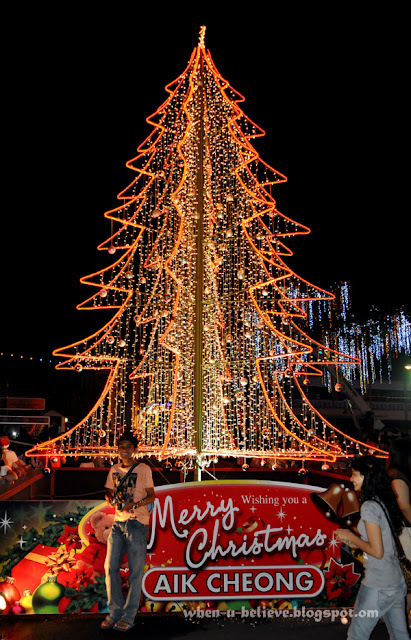 So nice to experience a Portugese cultural Christmas celebration in Malaysia. The Portugese descendents and community here are a great reminder of Malacca's rich cultural history.